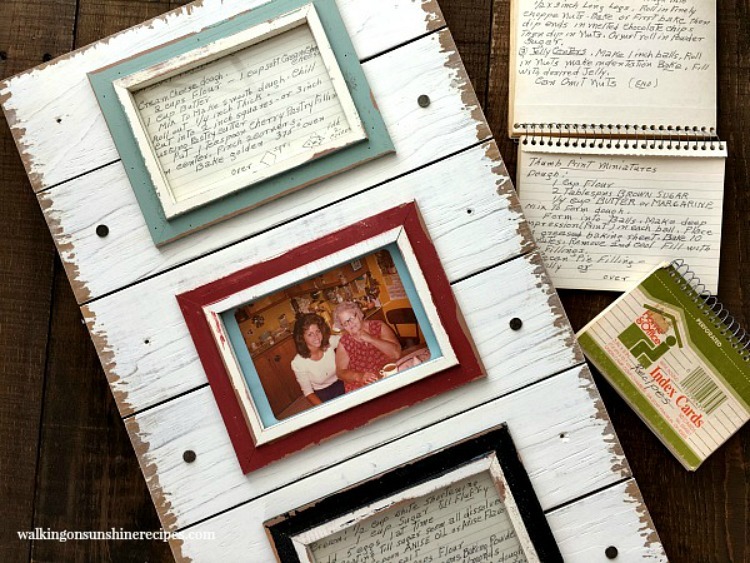 How to save and display Old Family Recipe Cards by turning them into a wonderful piece of Kitchen Art filled with memories! 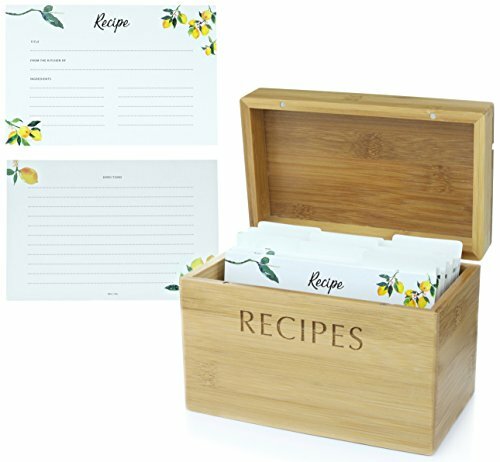 Do you have a recipe card collection? 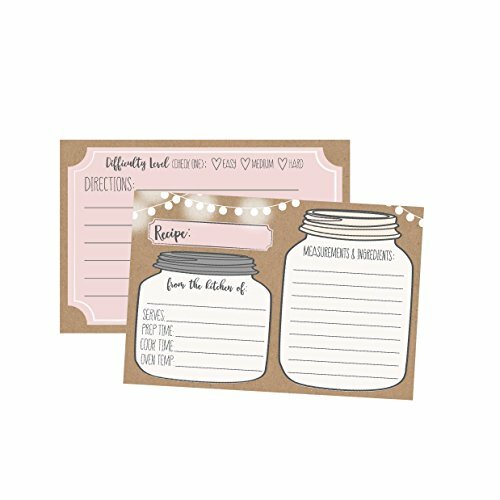 How do you store your recipe card collection? 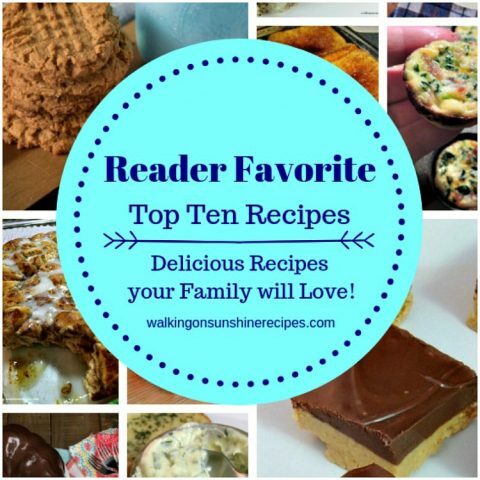 Or maybe you have old recipes from family members just gathering dust in a recipe box or a kitchen drawer? 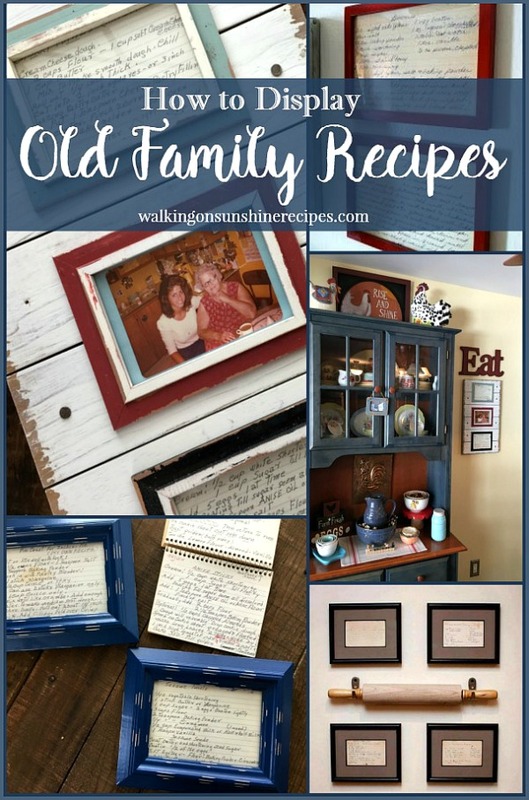 Today I’m sharing with you a fun way to display old family recipes with this project to help you create fun DIY kitchen art for your home that will bring a smile to your face every time you enter your kitchen. My grandmother was an amazing cook. She lived in Youngstown, Ohio and we lived in Queens, NY, so we only were able to visit every other summer. 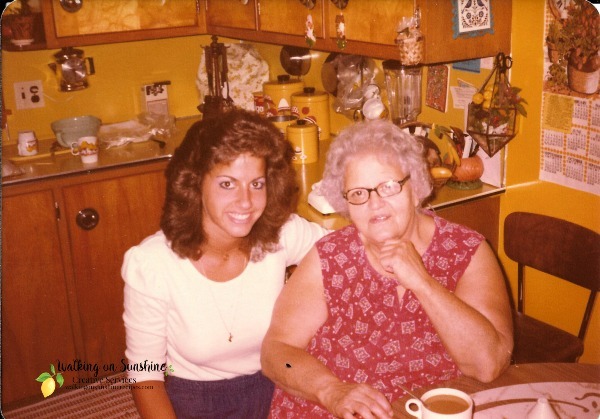 I remember being a little girl and when my mom would call my grandmother a week or two before our trip to Ohio, my sister and I would get on the phone and make our “request” to Grandma for what we wanted her to cook for us. At the top of the list was homemade pizza. My grandmother made the very best homemade pizza ever. 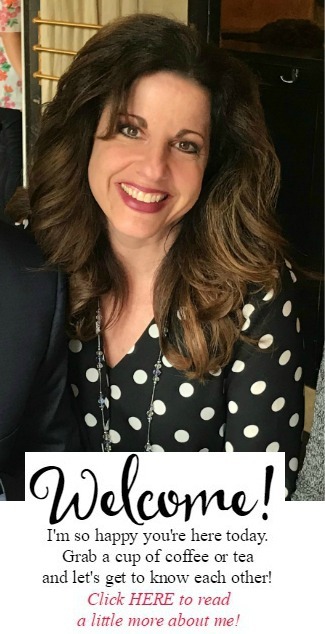 A few weeks before our visits, she would make a ton of pizzas that she would freeze so we could have homemade pizza every day we were there…and we did! One year she made over 20 pizzas for us! 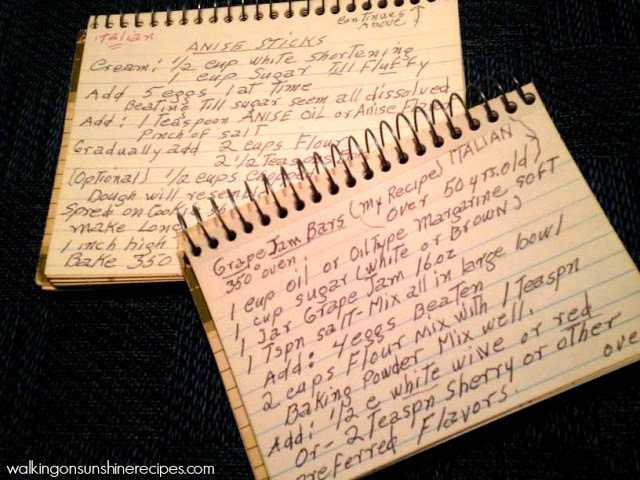 When I was a teenager, my grandmother sent my mother a couple of recipe index cards like the ones below. I know there were more, but I have two. Over the years I made a few of the recipes, but lately they cards have been sitting in my kitchen drawer. 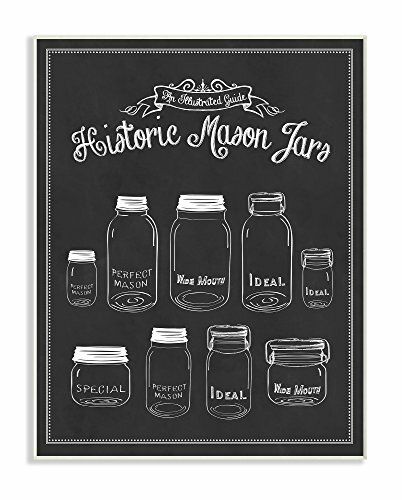 I’ve seen a few different ideas on Pinterest on displaying the old recipe cards and always thought, “someday.” Well someday finally came when I put together this DIY framed recipe card art for my kitchen a few weeks ago. 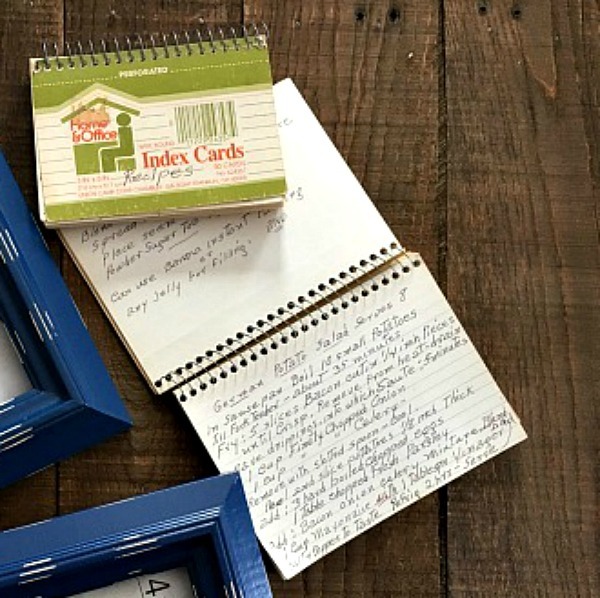 This is a really easy project to do. 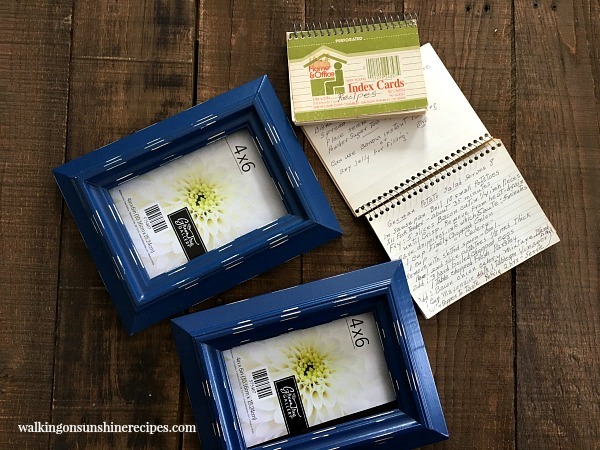 You need handwritten recipe cards and a frame. I also added a piece of fun wall art to hang above my completed project. 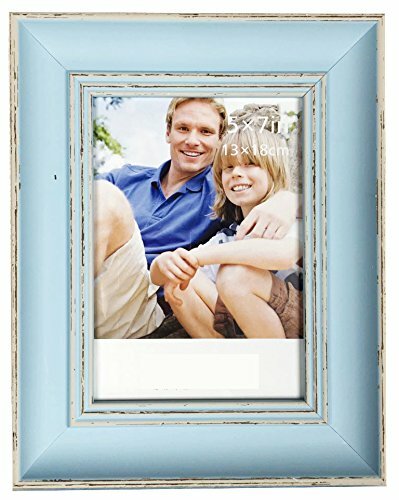 Select the recipes you want to frame. 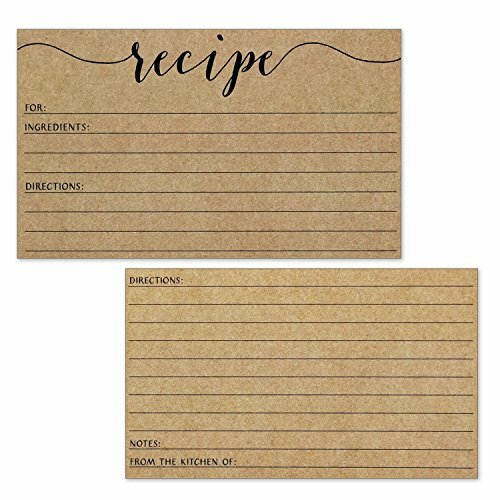 I was careful not to cut the recipe cards and I didn’t attach them to any additional paper since most of my grandmother’s recipes are printed on the front and back of the index cards. 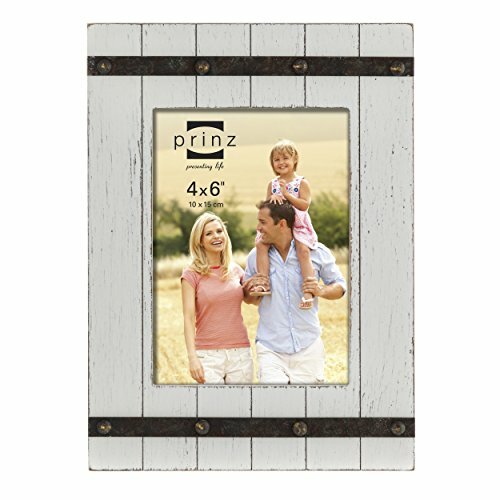 You can find a similar frames by checking out my Shopping List at the bottom of this post. I included a photo of my grandmother and I that was taken when I just turned 18. This was early in the morning when we were leaving my grandmother’s house to continue our trip to Missouri where I went to college. Yes, that is me! 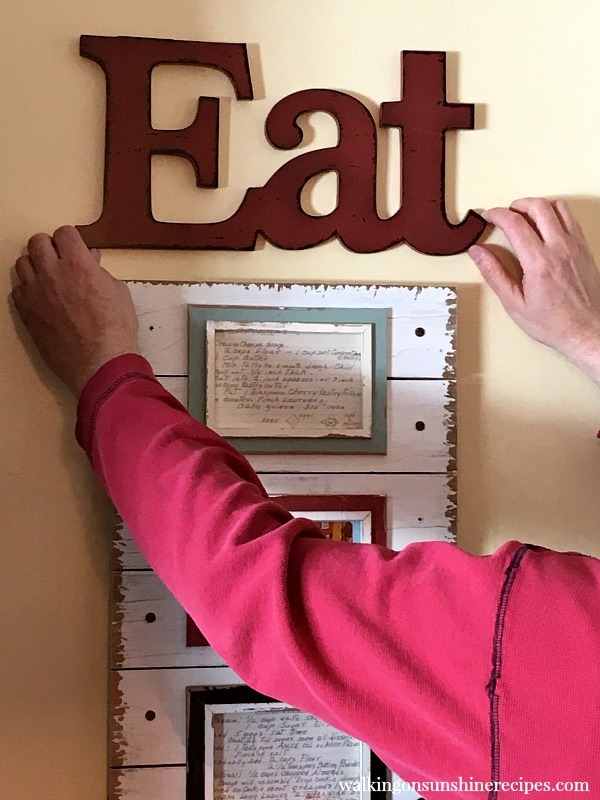 I decided to add a piece of wall art above the framed handwritten recipes in the kitchen. 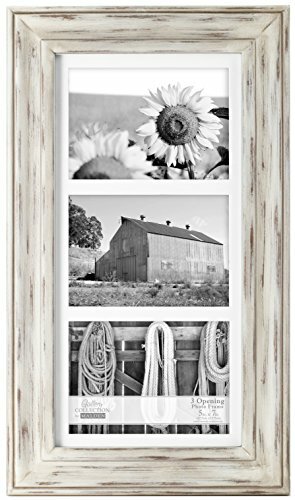 I think it looks great with the type of frame I selected. You can find the sign I used also in the Shopping List at the bottom of this post. The project came together nicely! 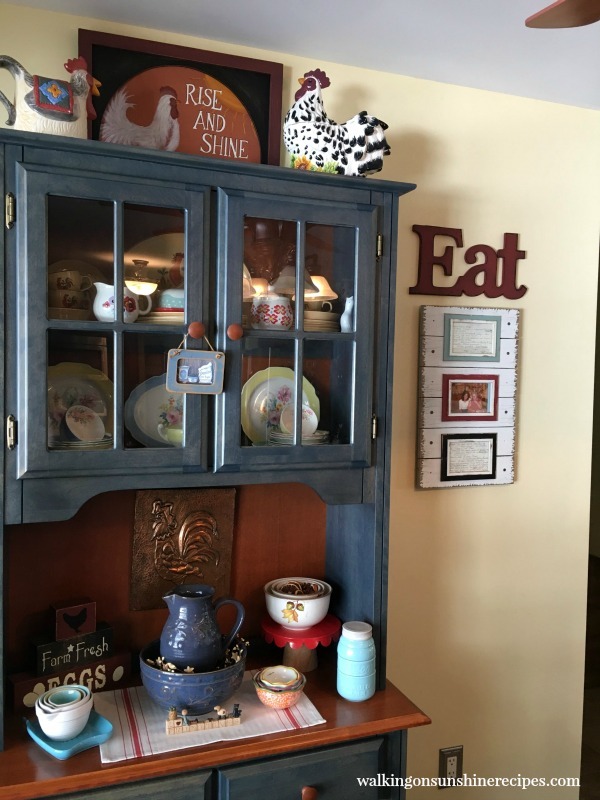 It looks great in my kitchen by my hutch. If you look closely, you can see the set of hand-painted dishes I have from my grandmother on the bottom shelf. 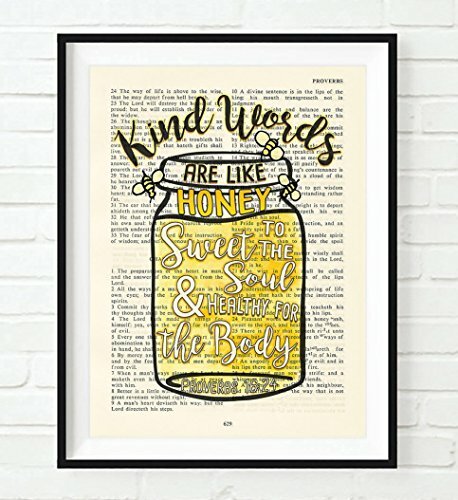 I wanted to create two more framed recipe cards for my mother and my sister. Here is my grandmother’s recipe for pie crust for zucchini pie…my mother and sister make this recipe every year. And the recipe for sesame twists. We made this cookie recipe every year for Christmas while growing up. I gave them the gifts a few weeks ago. 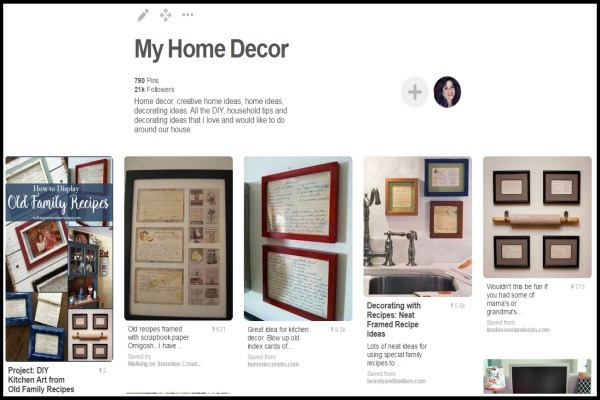 You can check out other recipe card projects on My Home Decor Pinterest Board. This is a lovely DIY Mother's Day project. I wish I had more time, this would be a great project for my kitchen and to make for my sisters. I'm bookmarking this to remind me to do this ASAP. I love this idea. 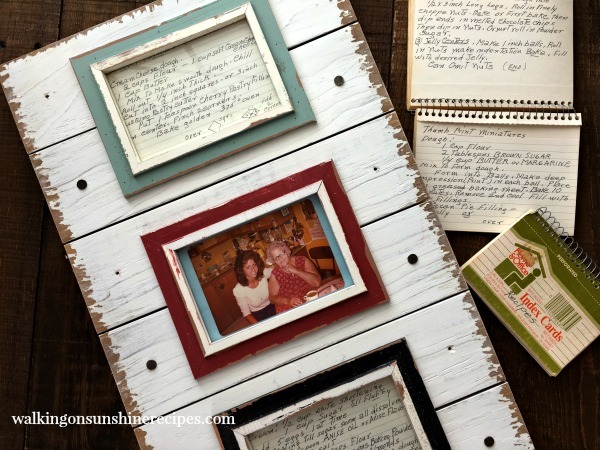 I treasure similar mementos from my gramma's (no recipes though – neither of them could cook very well), and I think this idea is fabulous. I love this! 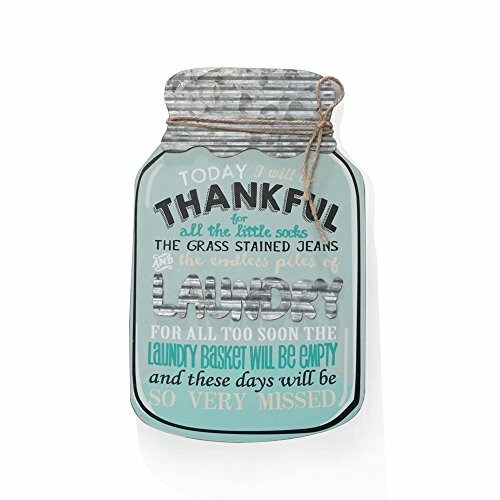 We are remodeling our kitchen and this would be so nice to add. Such a unique idea and such a nice way to remember loved ones. I'd imagine it's also a great conversation piece. What a wonderful idea. 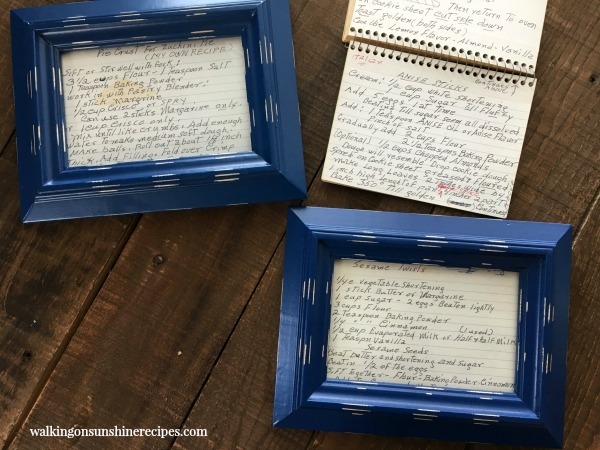 Recipes hold so many memories. I'm in love with this! Pinned and sharing! 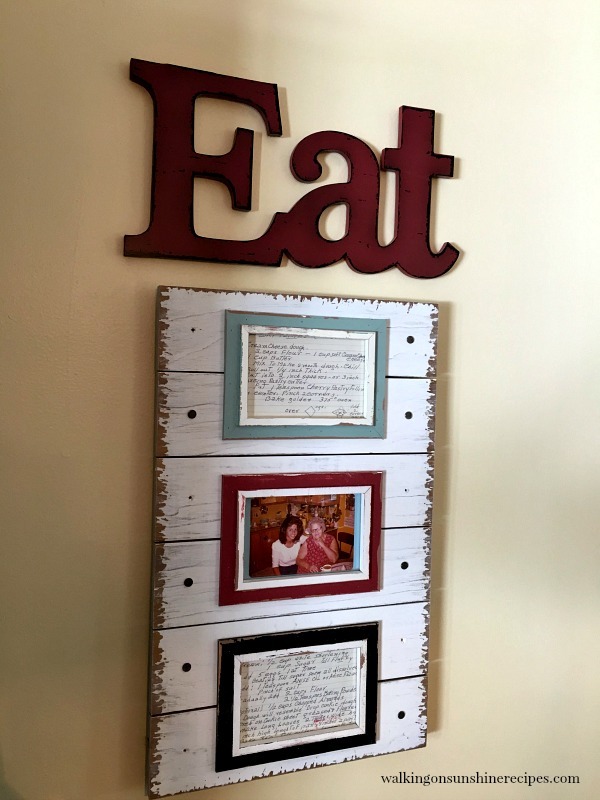 This is a wonderful project and looks so perfect in your kitchen with your eat sign. The great photo of you with your grandma makes it perfect and so personal. I will be looking to see if I can find a photo of my Mom and/or Grama to include. I have printed this out so it will go in my projects to do soon folder. I hope you come back and let me know if you do put your own project together. Thank you for visiting and leaving a comment. I appreciate it! 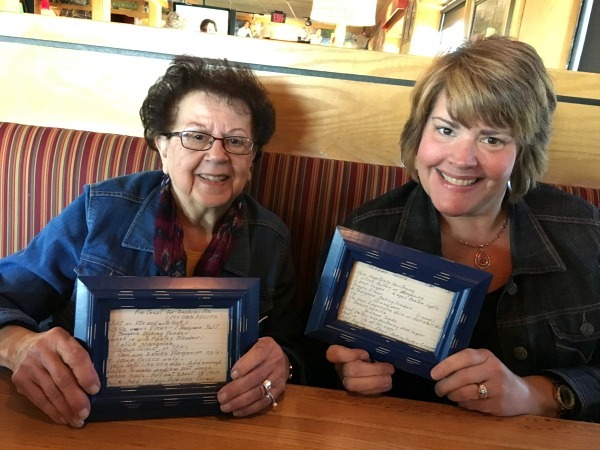 I couldn’t love these ideas more…how would you handle the recipe cards that are written on both sides? I’m thinking of doing something similar to honor and remember several cooking mentors I’ve had in my life. Love the EAT sign…you might have to be Italian to “get” it. LOL! Mine are written on both sides. I only have them in the frame for display. 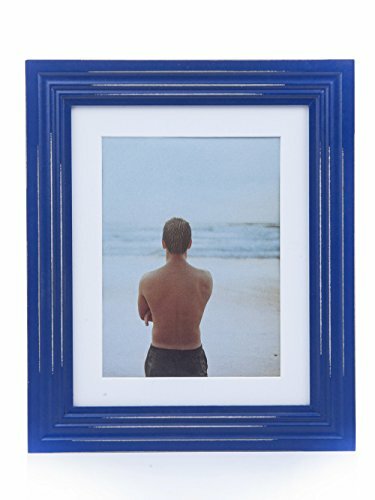 The back of the frame is easy enough to open if I wanted to remove the cards to read the back. 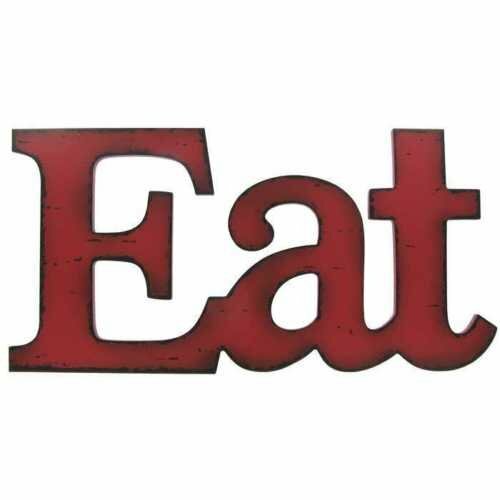 And yes, the EAT sign is an Italian thing and my grandmother loved, loved, loved to feed us when we were visiting.